There have been thousands of books published about the music, careers and personal lives of The Beatles over the last 50 years. No matter which element of the Fab Four you're interested in learning about, there will almost certainly be a book that covers it. Since the original publication of Love Me Do: The Beatles' Progress in 1964, there have been Beatles books covering their lyrics, music, influences, fashion, biographics, letters, artwork, photos and even day-by-day accounts of their lives. I would wager that no musical pioneers have been written about quite extensively as Liverpool's most famous export. Most critics would agree that Lewisohn is the world's foremost expert on The Beatles, so expect to see more than one of his books make this list. If you're interested in the music the band created, this is the one to go for. Covering all of the EMI recording sessions between 1962 and 1970, The Complete Beatles Recording Sessions is filled with incredible detail and some fantastic stories about how the band recording their iconic albums. You might expect this book to be fairly dry and perhaps a little technical, and while it does include a lot of technical information around their equipment and production, it also includes some incredible stories and quotes from the likes of Paul McCartney and George Martin, as well as numerous session musicians and engineers who helped create these timeless records. Who was Eleanor Rigby? Who did John and Paul see standing there? What inspired Yellow Submarine? Most Beatles fan will have likely wondered where the inspiration for an iconic song came from, and if you fall into this category, this is the Beatles book for you. In A Hard Day's Write, music journalist Steve Turner takes an in-depth look at the stories, people and events behind every one of the Beatles hits, including some incredible quotes and interviews and wonderful photos and illustrations. If there's a die-hard Beatles fan in your life, this one might just make the ultimate gift. OK, so we might be a little biased here in that this book was written and designed by our founders, but there's no question it easily warrants a place in this list. Filled to the brim with beautiful, full-colour infographics and illustrations, Visualizing The Beatles presents the careers and music of the Fab Four in a way that's never been done before. Charting the evolution of the band through their 13 core releases (from Please Please Me to Let It Be), Visualizing The Beatles uses data visualisation techniques to literally show you how the band changed over the course of their career. Including things like who wrote which songs, which instruments each band member played and which keys they were writing in, through to their fashion, influences and even what was happening in the world during each album release period. 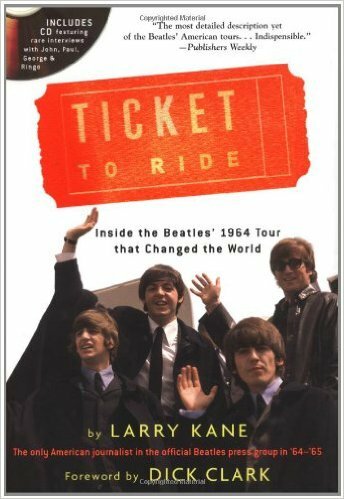 This book isn't like anything else on the market, and would make a perfect gift for any true Beatles fan. In a similar vein to A Hard Day's Write, Ian Macdonald's Revolution In The Head sets out to tell the story of every Beatles song ever recorded. The Second Revised Edition includes material from the Anthology series and Live At The BBC, making it the most comprehensive book of its kind with 241 tracks covered. Using his own extensive knowledge and experience, Macdonald's book is a series of incredibly detailed essays that attempt to deconstruct their music, from inspiration and musicology to subject matter, lyrics and process. It's an incredible read and one of the best pieces of popular music criticism I've ever read - about The Beatles or any other band. I'd already mentioned that Lewisohn would likely make more than one appearance on this list, and no list of Beatles books is truly complete without Tune In. The first volume in a series of books by Lewisohn, Tune In charts the history of the band from their birth and childhood through to their breakthrough year in 1962. I can't begin to describe just how thorough and detailed this book (and the series of books) is, but it's a must-have for anyone who's looking for a truly exhaustive history of the Fab Four. One of my all-time favourite Beatles biographies, Philip Norman's Shout! is often counted among the most influential and definitive biographies of The Beatles - and for good reason. The book charts the rise of the Fab Four from their humble beginnings to the never-before (or since) seen hysteria of Beatlemania, right through to the break-up of the band, their solo careers and the deaths of Harrison and Lennon. Not only is the book extremely detailed and well-researched, but Norman tells the story with genuine wit, humour and tenderness. You can tell you're reading the words of someone who has a genuine love and passion for the band, and it should be considered an essential purchase for anyone interested in The Beatles, the 60's or pop music in general. Keith Badman's Off The Record is a complete oral history of the band, allowing the Beatles to tell their story over 450+ pages of unrehearsed interviews and opinions. There are few other books that manage to get the true personalities of the band-members across in such an accurate way, allowing each of them to talk freely on their careers, each other, cultural events, politics and more. If you're looking for a book that gives you a completely different look at the members of the Beatles, this should be one of your first purchases. Few people can claim to have spent as much time with The Beatles at studio producer Geoff Emerick. Starting at Abbey Road Studios in the early 60s when he was just a 15-year-old boy, Emerick was present through the Beatles entire career. He was there when they recorded their very first songs, and by 1966 was their chief engineer, playing a huge role in albums like Revolver, Sgt Pepper and Abbey Road. In his book, Emerick discusses his incredible work with the band, what it was like to work on some of the greatest rock recordings of all time and how he achieved some of the revolutionary techniques and sounds we all know so well. He also goes into great depth about his impressions of the band members themselves, from their creative and writing process to their relationships and eventually, their break-up. Few can provide such an intimate and detailed insight into the story of the world's greatest bands, making Emerick's book an absolute essential for any Beatles fan. As we covered in the introduction to this article, Michael Braun's Love Me Do was the first real Beatles book, and has remained a much-loved classic for Beatles fans all over the world. Braun was an American reporter living and working in London, and was regularly with The Beatles through their early British tours and their shows throughout America. His work is incredibly detailed and insightful, due in no small part to the incredible access to the Fab Four he was given throughout the 1960s. Although he often wasn't treated particularly well by the band (something Lennon would later admit), his account of their growth and success is a must-have account of this period in their history. Hunter Davies is considered one of the primary Beatles historians, and is the only writer ever to become and authorised biographer for the group. His mammoth The Beatles Book was completed with the help of three high-profile Beatles experts, and aims to provide a definitive guide to the band and their music. Split into four distinct sections (people, songs, places and broadcast / cinema), the book sets out to cover every conceivable element of the history of The Beatles, from their relationships to their music and everything in between. Our own directors had this compendium on hand while they were creating Visualizing The Beatles, so exhaustive is the content. What makes this book really special is that it's regularly illustrated with incredible material from Hunter's own private collection of Beatles memorabilia, meaning there's a lot in here you likely won't find anywhere else. 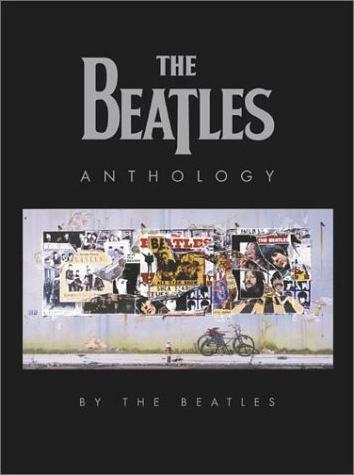 The only book in this list that's attributed to The Beatles themselves, the Anthology reached number one bestseller status all over the world when it was released. It's a great read, although it's worth noting that it doesn't include any quotes or insights from those close to the band (such as producers, managers, engineers or family). The book is made up of some incredible photos and scores of direct quotes and stories from the band, many of which can't be found anywhere else. It's by no means exhaustive and may leave you wanting more if you're looking for an in-depth history or analysis of the band, but as a gift or an insight into their personalities and stories, you can't go far wrong. Truly a great addition to any Beatles library. While the majority of books you'll find will focus on the music, personal lives or cultural impact of the Fab Four, Andy Babiuk's book was the first to take an in-depth look at the gear and equipment they used along the way. Covering their amps, guitars, drums, pedals, keyboards and studio equipment, the book not only lists everything they used, but analyses how the gear was used to create their iconic records and live shows. The book takes a chronological approach, taking you through every year of the band and listing each piece of equipment used by John, Paul, George and Ringo. It's an exhaustive approach and one that makes it stand out from the thousands of other Beatles books available on the market. It's also updated and revised reasonably regularly, so make sure you pick up the latest version. When the Beatles embarked on their first US tours in 1964, only one journalist was invited to accompany them - the then-22-year-old Larry Kane. After being invited by Brian Epstein to travel with the band, Kane captured a series of incredible photographs and exclusive interviews as the only American journalist in the official Press Group. His notes and recordings from this period form the basis of Ticket To Ride, a phenomenally interesting and insightful account of the band's first ever tour in North America. Some of the interviews conducted by Kane during the trip are wonderfully revealing, including stories of how the band met Bob Dylan and what Lennon really thought of America's involvement in the Vietnam war. Many of the interview recordings are included on a free CD that comes with the book, making it worth the retail price just for the CD! There are few books that genuinely capture a specific period of the band's journey in such an intimate and detailed manner, and this fantastic book will always have a welcome place on my shelves. Our directors recently did a podcast interview with Robert Rodriguez, and they came away raving about just how knowledgeable and insightful this man really is when it comes to The Beatles. This book is an homage to their iconic 1966 album Revolver - a record that Rodriguez elegantly argues is the band's most influential and important work, even above the often-lauded Sgt. Pepper's Lonely Hearts Club Band. If you disagree with the premise at the beginning of the book, it's unlikely you'll hold the same opinion at the end. Rodriguez successfully argues that Revolver influenced everyone from Led Zeppelin to Jefferson Airplane, and signalled an important shift in the career and sound of the world's biggest band. It's a fantastic book and one I keenly recommend to anyone looking to add a new Beatles book to their collection. The last instalment in our list of must-have Beatles book is Craig Cross's incredibly detailed and near-exhaustive history of the band, their music and their lives. You'll find a surprisingly in-depth diary of the band's day-to-day living, complete song-lists, tour dates, chart records and record discographies - and a whole lot more. Although it's extremely detailed and meticulously researched, it's also surprisingly entertaining and genuinely gives you an insight into the career of the world's most famous band. Cross does an excellent job of presenting the facts without passing judgement or reading into the circumstances on your behalf, even when the events being described are controversial. From Lennon's heroin use to the increasing fall-outs between Lennon and McCartney, each event is covered in a comprehensive and journalistic approach that leaves you to interpret the band's actions and events in your own way. It's often referred to as the 'only Beatles book you'll ever need', and while I'm not sure I agree with that, it would definitely make it to my personal library.